The LJP is trying to extract a better bargain for itself in its seat-sharing talks with the BJP in Bihar. The Lok Janshakti Party (LJP) on Thursday asked the government to list benefits of demonetisation, positioning itself for a better share of seats from the National Democratic Alliance in Bihar elections next year. LJP chief and union minister Ram Vilas Paswan and his son Chirag, a Lok Sabha MP, held an hour-long meeting with Bharatiya Janata Party (BJP) chief Amit Shah and Finance Minister Arun Jaitley in Delhi. LJP sources said the meeting remained inconclusive. BJP general secretary Bhupender Yadav, the party’s Bihar in-charge, said BJP’s alliance with LJP in Bihar remained intact. Chirag, in a letter, asked Jaitley to list how India benefitted from demonetisation, the government’s shocks decision in November 2016 move to ban high-value notes. 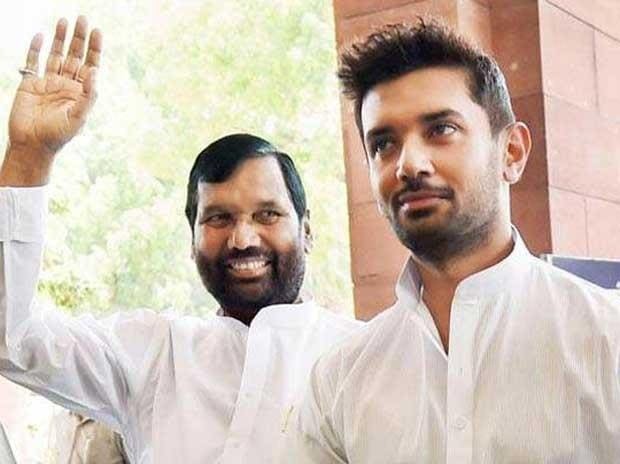 The LJP is trying to extract a better bargain for itself in its seat-sharing talks with the BJP in Bihar, particularly after the saffron party lost Chhattisgarh, Madhya Pradesh and Rajasthan and the exit of Upendra Kushwaha-led Rashtriya Loktantrik Samata Party (RLSP). Rashtriya Janata Dal (RJD) leader Tejashwi Yadav has also indicated the doors of the ‘grand alliance’ in Bihar were open to LJP. In 2014 Lok Sabha polls, the LJP had contested seven, winning six, in alliance with the BJP in Bihar. On December 11, the day results of Assembly polls were announced, Chirag wrote a letter to Jaitley, with a copy to Modi, asking him to list the benefits of demonetisation so that he can "explain" them to people. Over the last week, Chirag has repeatedly spoken of the unease among farmers and youths, that his party disagreed with Sangh Parivar’s agenda of constructing a temple at Ayodhya and has cautioned the BJP to treat its allies with respect.